Alexis Rockman’s Pioneers (2017) Courtesy of the Artist and Sperone Westwater, New York/Chicago Cultural Center. 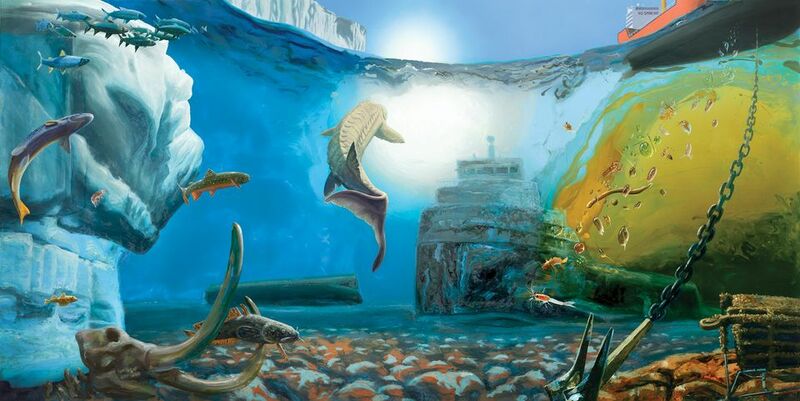 Rockman, who has been creating ecologically minded work since the 1990s, often using materials such as soil and plants from the landscapes he depicts, says he is concerned that environmental problems are “unsolvable”. But, he adds: “I can’t think of anything more important to make work about.” As well as creating his Great Lakes Cycle, which shows both the richness of the fresh water ecosystem and the threats it faces from industry and climate change, Rockman has co-organised The Solace of Amnesia, a group show in Vermont that obliquely references the subject, based on works from the Hall Art Foundation’s collection (until 25 November). For scientists, bringing along an artist can help their research reach a wider public. “We’re always looking for different ways to communicate the science, because not everyone is out there reading scientific journals or New York Times articles,” says Alison Smart, the vice president for strategy and advancement at the Woods Hole Research Center. “Artists are modulators of attention,” says Christine Shaw, the director and curator of the Blackwood Gallery at the University of Toronto Mississauga, who is organising a year-long festival in the Ontario city called The Work of Wind: Air, Land, Sea. 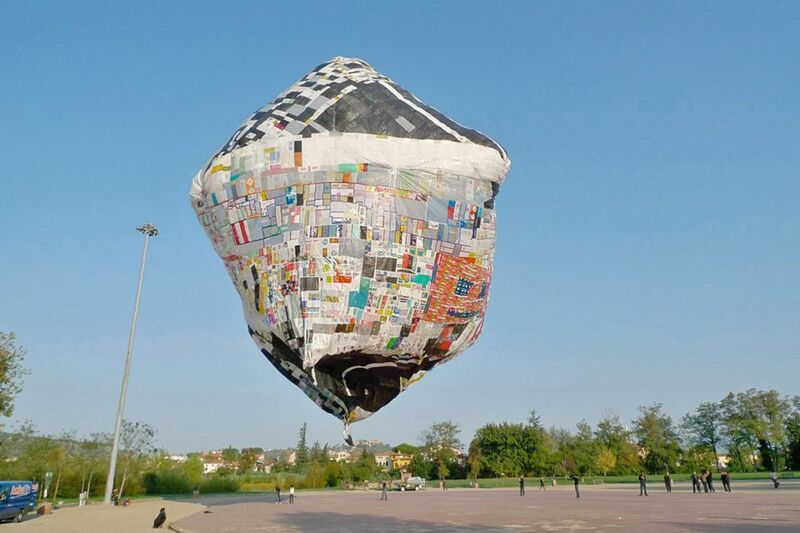 Along with public programmes and publications starting this month, the festival will feature an exhibition of 13 artists projects opening in September, including a hot-air balloon made of community-sourced plastic shopping bags by the Argentine Tomás Saraceno and an installation by the New Zealand- born, Berlin-based Julian Oliver that has a wind turbine producing energy to mine cryptocurrency that is then used to fund climate research. “There is a narrative potency in the way artists are telling stories about climate change,” Shaw says. “Our interest is in advancing scientifically sound climate policy, and right now that’s not happening on the federal level in the US,” says Dave McGlinchey, a spokesman for Woods Hole. “We have a very small window of time in which we can take effective action on climate change, and we are wasting that with an administration that doesn’t take the problem seriously.” Through their work, artists are making it clear how quickly time is running out.